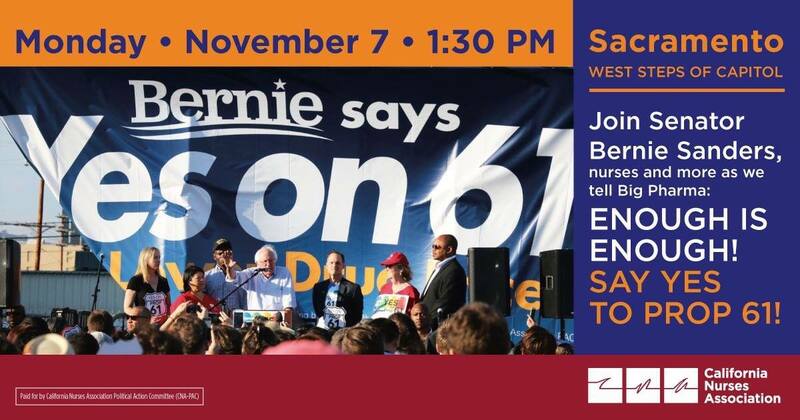 Join us for a Yes on Prop 61 Rally with Bernie Sanders! The event will be held Monday, November 7 at 1:30pm on the west steps of the Capitol. CSR will be in attendance. Please join us!